Can you believe it? Another year has come and gone. As you look back on 2017, how did you do? Did you use your power to accomplish all that you set out to accomplish? Did you achieve the dreams and goals that you set for yourself? Oh wait, did you even set goals for 2017? It seems like some folks have given up on that. For most, as we look back, we accomplished a lot, and yet it was less than we set out to accomplish. So today I want to dive a little deeper and go beyond the goals and goal-setting to the POWER that you have to achieve. How did you do this past year in regards to your personal power? You see, I used to believe that your power came from your title or your income or your position or your status. Then I heard the analogy that a power plant doesn’t have power, it generates it. As human beings, we aren’t given power, we create it. We are creators. The power to accomplish our goals is within us already. Think about it… You can be dead tired after a hard day at work or an excruciating day of meetings. But then a friend calls and asks you to do something fun and exciting; something that you’ve wanted to do for a long time. And, that something is happening tonight! What happens inside of you? All of a sudden your body generates the energy it will take to go do that fun, exciting, and amazing thing. Our brains create ideas; our hearts create our dreams; our souls generate our inspiration. We can tap into these at any time to move our lives forward towards our dreams and goals. So, what happens? 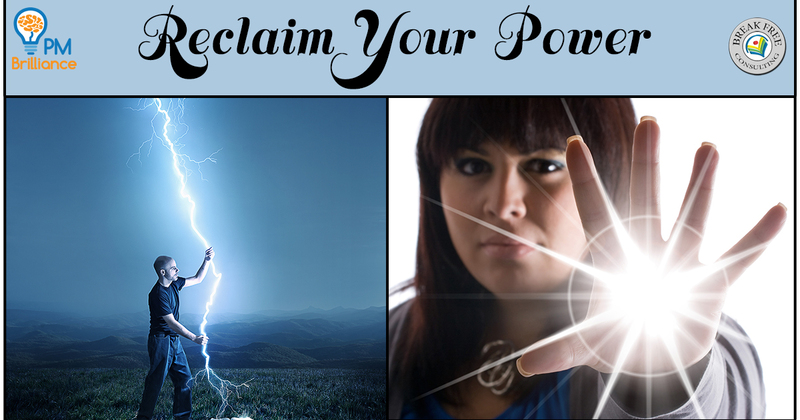 Have you given away your personal power? Often times we give our power away and allow our energy to be sapped from us. All of these tiny “decisions” occur inside of our minds and are virtually invisible. We give your power away little by little without even noticing it. Little by little these decisions and sacrifices diminish your self-worth. If you continue to chip away at your self worth, what replaces it is a series of compromises and habits. You train your brain to see life as a gradual decline in excitement and joy. Life becomes a series of routines making your reality seem less than it could or should be. In 2018, let’s reclaim the power you have given away gradually over the years. Take control over your thinking and use your mind to bring peace, joy, excitement and fulfillment to your life. Learn to speak up for yourself… gradually if you need to. Keep a journal of your successes and wins – these don’t have to be huge goals. Successes are simply intentions that you succeeded in achieving for that day. Set a small intention every day and celebrate your successes regularly. Stop holding grudges. Forgiveness is not the same as reconciliation. You can choose to forgive someone even if they never apologize. Forgiveness is a choice that helps you reclaim your power. Stop equating self-sacrifice and self denial with virtue. A virtue is a core value that expresses who you are and who you want to be. Sacrificing yourself is the opposite of a virtue. Self-sacrifice prevents you from expressing who you are. 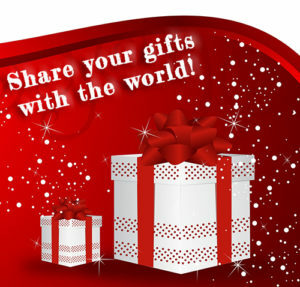 You’ve been given gifts and talents, dreams and aspirations that are uniquely yours. Go after these dreams! Reconnect with those aspirations! That’s not being selfish. Selfishness is keeping those dreams locked inside of you and those aspirations tamped down. Selfishness is you not sharing them with us. It is not selfish to reclaim your power and share your gifts with the world. If you haven’t noticed, our world needs you… it needs your unique brilliance. This world needs you to reclaim your power in 2018 and create the goodness that only you can create. Don’t spend your precious time on this earth criticizing or judging other people. Use your power to create your world and become the amazing, unique, priceless and beautiful person that you are. This is where your joy, your peace, your happiness and your fulfillment lives. Here are 2 opportunities for you! If you’d like to hear more on this subject, check out the PM for the Masses podcast where Cesar Abeid and I cover this topic in episode 105. 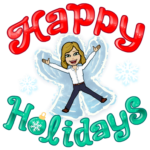 Free Web Event Jan 9 or 10, 2018! Start off your New Year right by joining me for a FREE web event on January 9th or 10th. Seating is limited to 100 attendees per session. 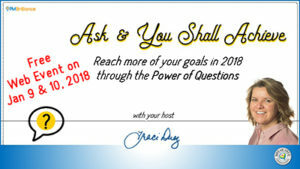 You will learn how questions may be the answer you need to reclaim your power in 2018. Why the questions you ask yourself will determine the height of your achievements in the coming year. Seating is limited to 100 participants per session. 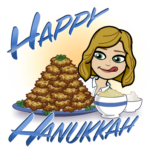 Lastly, Merry Christmas, Happy Hanukkah & Happy Holidays! 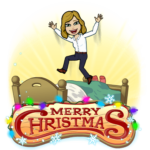 I wish you the peace, joy and fulfillment during this winter holiday season (no matter how you celebrate). All the best for an amazing 2018! !